Discover the difference! The owners and Innkeepers, the Hertzog family are the 9th generation from an unbroken family bloodline to live on this sprawling 23-acre property since 1786. 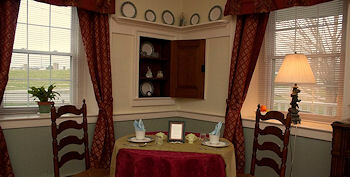 Hertzog Homestead is the only exclusive private breakfast B&B in Lancaster County. Scott Hertzog, your host, grew up in this Mennonite home while his parents farmed barley, corn, alfalfa, soybeans, and sorghum, and raised beef cattle. Today, the farm is operated by Amish and Mennonite neighbors. You’ll often see horse-drawn farm machinery out in the fields. The Hertzog Homestead Bed and Breakfast is celebrating 15 years of business and has grown to include the award-winning Bed & Breakfast with four boutique style private suites, a rustic barn Event Venue and cozy Spa Cottage, offering therapeutic massages. Scott has a passion for genealogical research and recently wrote a book “My First 250 Years: The Story of the Hertzog Homestead.” His wife, Kristen is an entrepreneur, Performance Coach and has a diverse background including having been an actor at Sight & Sound Theatres, and an Amish tour guide at Plain and Fancy Farms Amish House. 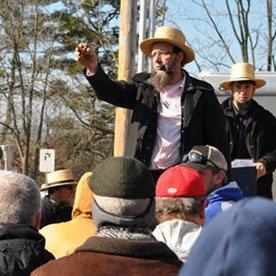 The Hertzogs sponsor the one-day Annual Hope for Haiti Benefit Auction on the property in May, where Amish, Mennonite, and local neighbors come together to raise financial support for education and business development programs in the country of Haiti. Country auction, food, children activities and more! The Hertzog Suite is the signature suite and provides a wonderful escape for you and your loved one. Sink into your private garden hot tub or cozy up in the sleigh bed surrounded by picturesque views of the Amish farmland. This suite offers a queen-size sleigh bed, a sitting area, a private bathroom, two spa robes, a Charmglo fireplace, free WiFi, television with satellite TV, a sofa with a pull out bed for additional guests, a kitchenette/dinette, an Amish-made private breakfast, a private patio, and a private outdoor hot tub overlooking farmland. 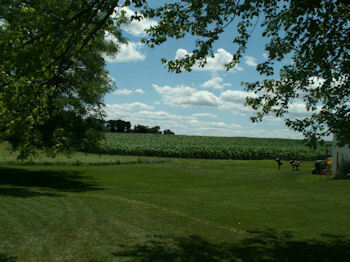 Enjoy gorgeous views of the Amish farmland from the Buch Suite. This contemporary and spacious suite is the largest of all the suites and is perfect for families or for couples who desire more space. The suite offers two queen-size spa beds, a private bathroom, four spa robes, free WiFi, television with satellite TV, a sofa with a pull out bed for additional guests, a kitchenette/dinette, and an Amish-made breakfast. 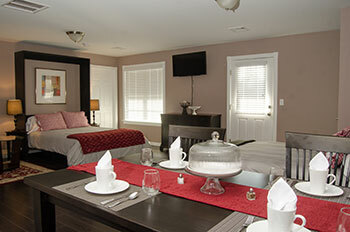 Experience the Amish Country in the Meyer Suite. This suite is decorated in Amish quilts and Pennsylvania Dutch folk art, including some of the family’s cherished antiques and provides farmland views where you can see Amish horse and buggies trotting down the country road. 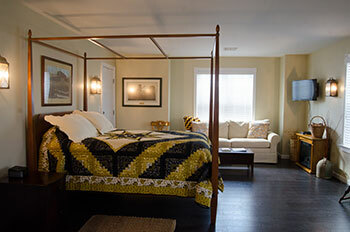 The suite features a queen-size canopy bed, a sitting area, a private bathroom, two spa robes, a Charmglo fireplace, free WiFi, television with satellite TV, a sofa with a pull out bed for additional guests, a kitchenette/dinette, and an Amish-made breakfast. Named after their ancestor, the Historic Metzler Suite includes a queen sized spa bed, deep over-sized windows, original hardwood floors, an antique built-in German Bible Closet, and an 1810 corner cupboard with original bubble glass. The suite has its own private dining room, complete with settee and chairs, a microwave, a small refrigerator, and a coffee maker. It also has a memory foam sofa bed, a Charm Glo fireplace, bathrobes, and a private outdoor entrance. Additional amenities at the Hertzog Homestead include private breakfasts, WiFi, an outdoor hot tub (Hertzog Suite), porch rockers, outdoor sitting areas, a hammock within walking distance are the Mennonite church and the one-room Amish schoolhouse. There is a covered bridge nearby, too. Collect fresh chicken eggs! The Hen Hotel is home to 25 exotic chickens who live rent free, provided they give eggs daily. These eggs go straight into Elva’s Kitchen, where the Amish cook uses them in fresh quiches and baked goods! 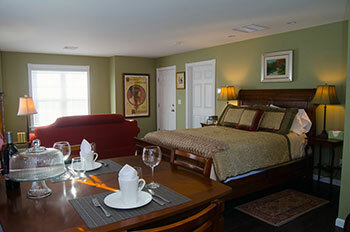 Hertzog Homestead Bed and Breakfast strives to provide green lodging for its guests. All energy, including the air conditioning and the hot tub, are provided by solar panels. 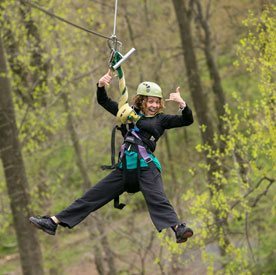 Hertzog Homestead earned the 2017 Trip Advisor Certificate of Excellence. You can read reviews from previous guests. Hertzog Homestead offers seasonal offers! See these special offers here. The historic Hertzog Homestead is the picturesque location for weddings and events, with their rustic barn, Amish Meadows, spacious yards, and nearby woods. Contact us to set up a complimentary tour of this spacious 23-acre property. The Spa Cottage is a quaint and cozy location just steps from any suite and is the perfect place to experience a relaxing massage or therapeutic treatment from a licensed massage therapist. Open daily 9 AM – 9 PM by appointment only. 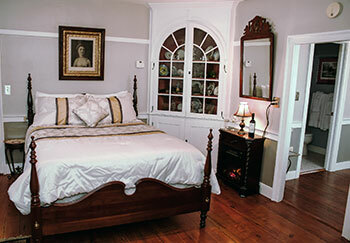 Find more farm bed & breakfasts, regular bed & breakfasts, lodging, and hotels in Lancaster, PA.